A vector is a quantity that has both direction and magnitude, or size, and is represented by an arrow drawn between two points. 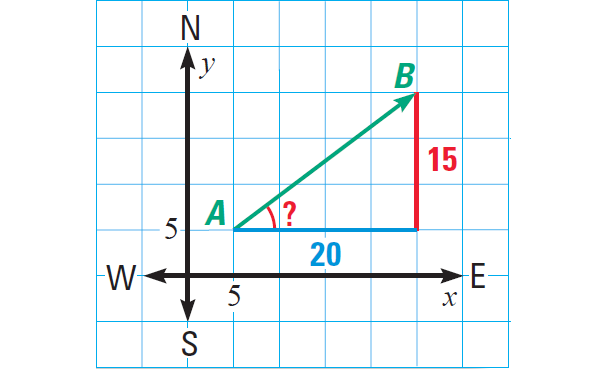 In this section, we will learn how to find the magnitude of a vector and the direction of a vector. We will also learn how to add vectors. 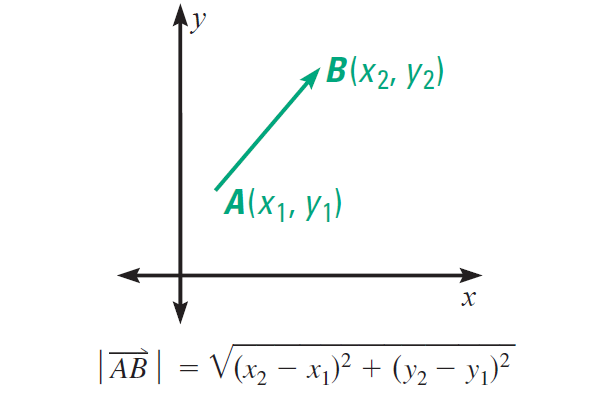 The magnitude of a vector AB is the distance from the initial point A to the terminal point B, and is written |AB|. If a vector is drawn in a coordinate plane, we can use the Distance Formula to find its magnitude. 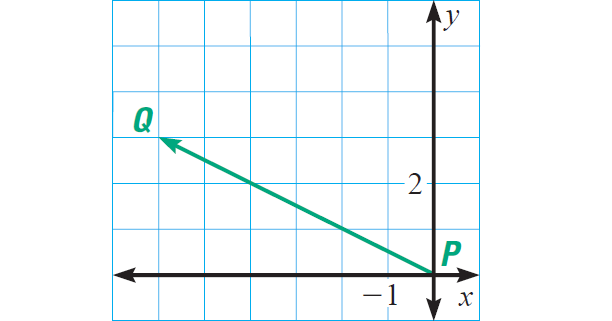 The direction of a vector is determined by the angle it makes with a horizontal line. 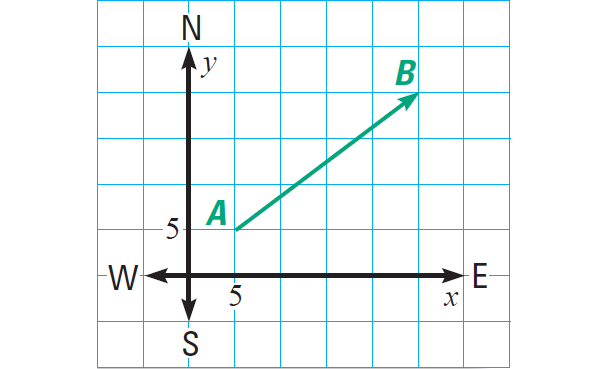 In real-life applications, the direction angle is described relative to the directions north, east, south, and west. 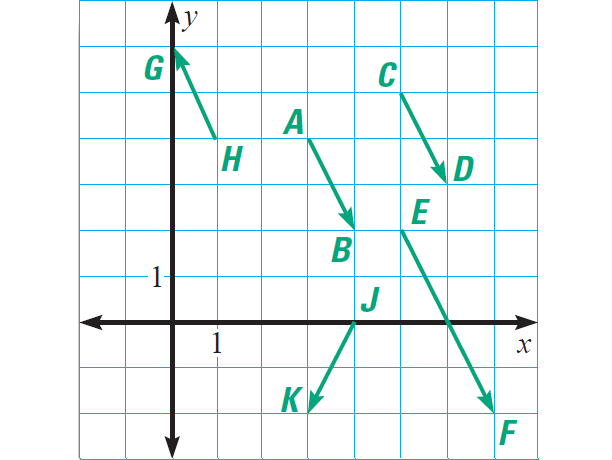 In a coordinate plane, the x-axis represents an east-west line. The y-axis represents a north-south line. Two vectors are equal, if they have the same magnitude and direction. They do not have to have the same initial and terminal points. 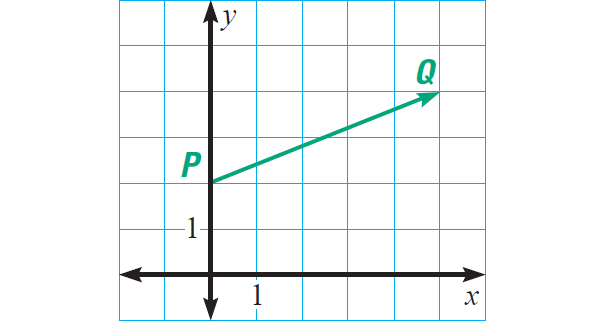 Two vectors are parallel, if they have the same or opposite directions. 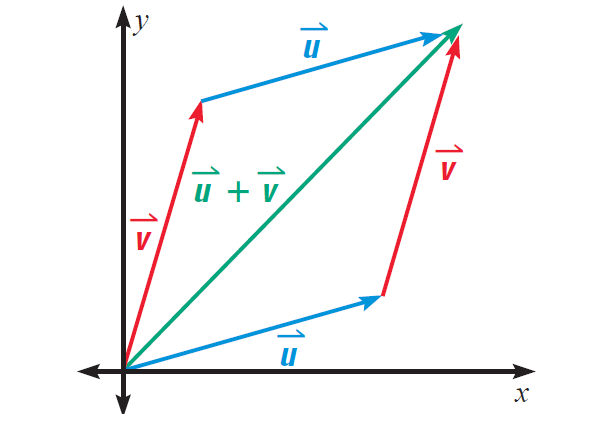 Two vectors can be added to form a new vector. 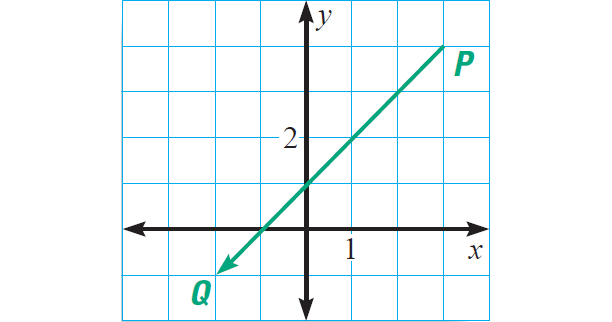 To add the vectors u and v geometrically, place the initial point of the vector v on the terminal point of the vector u, (or place the initial point of the vector u on the terminal point of the vector v). The sum is the vector that joins the initial point of the first vector and the terminal point of the second vector . This method of adding vectors is often called the parallelogram rule because the sum vector is the diagonal of a parallelogram. We can also add vectors algebraically. Let the vector u = ⟨3, 5⟩ and the vector v = ⟨-6, -1⟩. 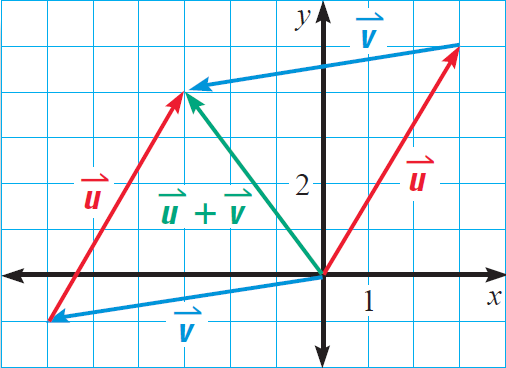 To find the sum vector u + v, add the horizontal components and vertical components of the vectors u and v.
After having gone through the stuff given above, we hope that the students would have understood, "Vectors".